Get behind the wheel (or handlebars). Driving in Japan offers residents the chance to get away from the train, subway and bus routes the country is famous for and explore some of its off the beaten path destinations. The roads and highways are excellent — though tolls can add up — and signage includes plenty of English or uses internationally established conventions. For those of you who work in Japan, being certified to drive here also opens up a host of career opportunities. Many job offers you will see advertised, especially in industries such as English teaching and logistics, involve rural placements, and a number of these jobs will not even consider you unless you are cleared to drive in Japan. 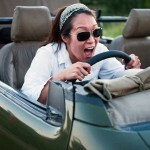 In Japan you will need a valid international driver’s permit or a Japanese driver’s license in order to hit the road. Just having a current license from your own country does not make it possible for you to legally get behind the wheel. 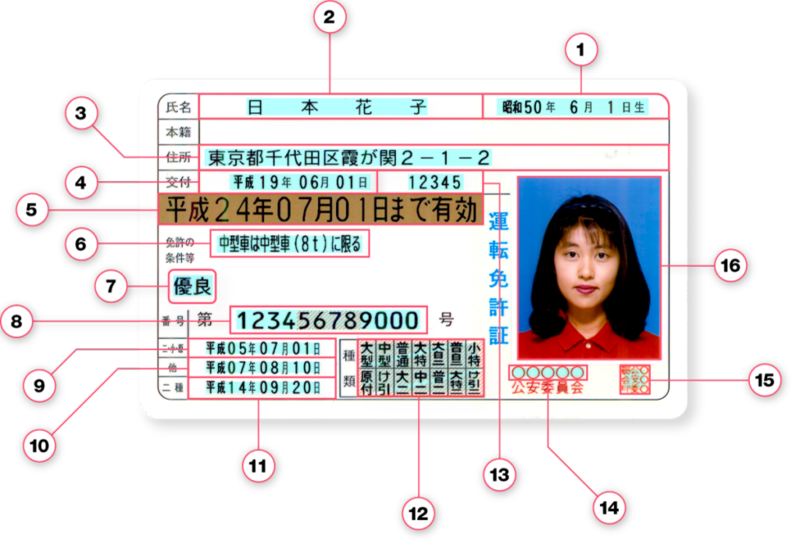 Driving licenses are issued by the prefectural government where you reside and overseen by the National Police Agency. Fortunately, for people from certain countries, there is a process available for translating and converting your foreign license to a Japanese one (though you must have been resident in your country for three months from the last renewal date on your license). If you’re not from one of the countries listed below, you’ll need to take and pass the Japanese driving exam. All vehicles are required to have insurance and environment suitability checks, called Shaken (車検), every two years. New driver’s licenses (green license) are valid for a period of three years. Following renewal, the license is then good for another three years as an “ordinary driver” (blue license). Once you’ve fulfilled six years of driving without any violations on your record (three as a new driver and three as an ordinary driver) you can apply for a gold license which is good for five years (and offers the advantage of insurance and other discounts). If you have a driving license in your home country and your country is one of those listed above that has an agreement with Japan for driving, then you can convert your home country license into a Japanese one. Before you can do this, though, you will need to obtain a certified translation of your home country-issued license. A locally certified translator in Japan can do this for you. The cost varies depending on the individual translator. This can also be done at Japan Automobile Federation branch offices (see Resources below). Once you have obtained the Japanese version of your home country license, you should then go to your local Japanese Driving Center (there are a number of these in each prefecture). After an interview with one of the center’s officials, you will be issued with your Japanese driver’s license. Preparing all the paperwork and having your interview at the driving center shouldn’t cost more than around ¥10,000. In the event that you don’t come from one of the countries listed above with whom Japan has a reciprocal arrangement (the U.S. is one of these countries), you’ll need to take the Japanese license test. The format is probably similar to the type of driving test you would take in your home country, however, the bar for passing is set quite high. Typically, most new Japanese drivers will require four attempts to pass and each attempt costs ¥5,000. Also, please note that your examiner is highly unlikely to speak English, so you will need to account for this, too. Of course, some people who come to Japan have never driven a car before, even in their home countries. For these people, the best solution is to attend a driving school here. 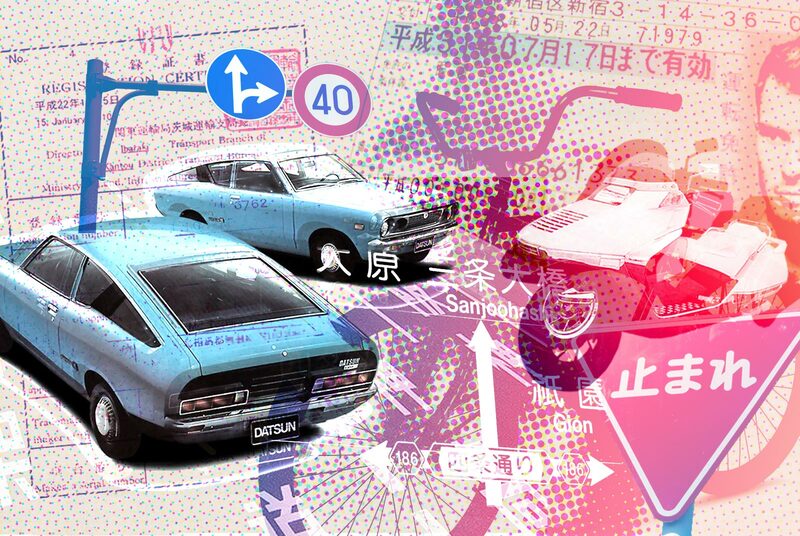 Driving schools in Japan are training courses, usually spanning 30 to 40 hours of classroom-based study coupled with a similar length of time doing practical driving. Depending on the school, you will have the option to take the whole course as a three- to four-week intensive program or attend the school once or twice a week with the course spread out over a few months. Typically, these schools only offer courses in Japanese, however, there are a few schools, mainly concentrated around Tokyo, where you can study in English. There is also a school in Nagoya, managed by Toyota, that offers driving school courses in English. The cost of a driving school in Japan is quite substantial (anywhere from ¥300,000 to ¥500,000 depending on the location and whether you are studying to drive a manual or an automatic transmission car) but there is an added incentive. All drivers in Japan who don’t already have a license have to pass both a written exam on traffic rules and a practical driving test. The classroom section of the driving school will ensure you are thoroughly prepared for the written test, and the school can also arrange for you to take the test in English. Finally, and perhaps most importantly, graduating from a driving school in Japan will grant you an exemption from the practical test. So, although it’s expensive and may be difficult for those who don’t live near a school, if you don’t have a driving license in your own country, going to a driving school in Japan is the easiest and fastest way to get yourself out on the road. The renewal process is very straightforward. When your license is nearing its expiry date, you will receive a postcard in the mail from the local driving center inviting you to renew. You can apply for license renewal either at the driving center or by making an appointment at your local police department. You will need to have your eyesight tested and watch a lecture on traffic safety. Of course, once you’re out on the road, you will need to follow established local rules and conventions — some of which you won’t find in a guidebook or school course. Here are a few of the more common ones you’ll encounter. When a driver lets you out or shows good manners to you on the road, you should either give them a quick nod or bow as you drive past, or quickly blink your hazard lights on and off as an acknowledgement. While it’s always good common sense to look both ways before crossing a railway crossing, in Japan the law goes a step further — you are legally required to stop and look both left and right before you cross a railway. Always stop at a red light but don’t expect others to do so! Some people view the red light as a “subtle hint” rather than a law. So, when you see a green light, it’s a good idea to wait a moment or two before you move, just in case someone coming from the side decides to run the red light. Vehicle insurance is mandatory in Japan and the onus is on the vehicle owner to make sure they have it. Do this before you head out onto the road. Motor-vehicle inspection is called Shaken in Japanese. The owner of the vehicle may register for the process, but as with other countries it’s usually a case of taking your car to a mechanic or dealership to have your inspection carried out. For your average car, shaken typically costs upwards of ¥100,000. If your vehicle doesn’t pass, it will need to be fixed accordingly. 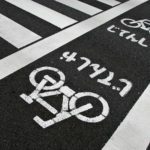 Neither your regular Japanese license nor your foreign motorcycle license will allow you to ride a bike in Japan. You will need to get certified. Japanese law requires you to have a specific license for certain classes of motorbikes. For a 50cc engine (such as a scooter), a regular Japanese driving license is fine. To use a motorcycle or scooter over 50cc, you will need a mid-class or big-class license. The process for obtaining these licenses runs along the same lines as a driving license. You can either take the test directly or apply to a driving school. Motorcycle license courses at driving schools are a little cheaper than car license courses. However, there are two license types: a mid-class license (up to 399cc engines) and a big class license (over 400cc). A mid-class license course will cost around ¥250,000 and a big-class license course costs around ¥120,000. However, in order to obtain the larger class permit, you’ll need to pass the mid-class course first. Bicycles are used far more widely in Japan than in most other countries. To that end, all bicycles need to be registered with local authorities. When you buy a new bike, you will have to register it, either at the point of purchase or via the local police station. The process costs ¥500. Upon registering the bicycle, you’ll get a sticker to place on your bike with your registration number on it. Please note that the rules for riding a bike in Japan may differ from what you are used to in other countries. 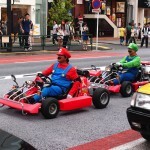 Drunk riding is treated the same way as drunk driving in Japan. If you are caught riding a bicycle while impaired, you could be fined or even imprisoned. Helmets are always recommended, but only children under 13 years are legally required to wear them. Using your phone, an umbrella or listening to music through headphones while riding a bicycle are also prohibited. If you’re renting a car in Japan you will need either a Japanese driver’s license or an international driving permit. International driving permits are not available in Japan and need to be obtained in your home country before you come over. The process varies from country to country, so consult your local automobile association back home for more details. Rental rates vary from ¥5,000 per day for a small car up to ¥20,000 per day for a large van. Short-term rentals, usually starting from four hours, are also available, and handy for things such as moving house or transporting large items. Japan also has a system of road tolls which you’ll need to factor in when calculating the cost of driving over large distances. Generally speaking, the longer the distance, the higher the cost. As a ballpark figure, driving from Kyoto, in central Japan, to Kumamoto, in southern Japan, will cost ¥11,950 in road tolls. You can bring this cost down by using a kei (under 400cc engine) car or by registering for the electronic toll collection (ETC) system. When using the ETC system, the cost of tolls is automatically debited from your credit card. Utilizing both of these will earn you a larger discount. See the external resources section for more specific information on this. Getting a driver's license in Japan puts you directly in contact with the hierarchical nature of Japanese society.